Hello! I'm back with a reminder card for The Card Concept #16. 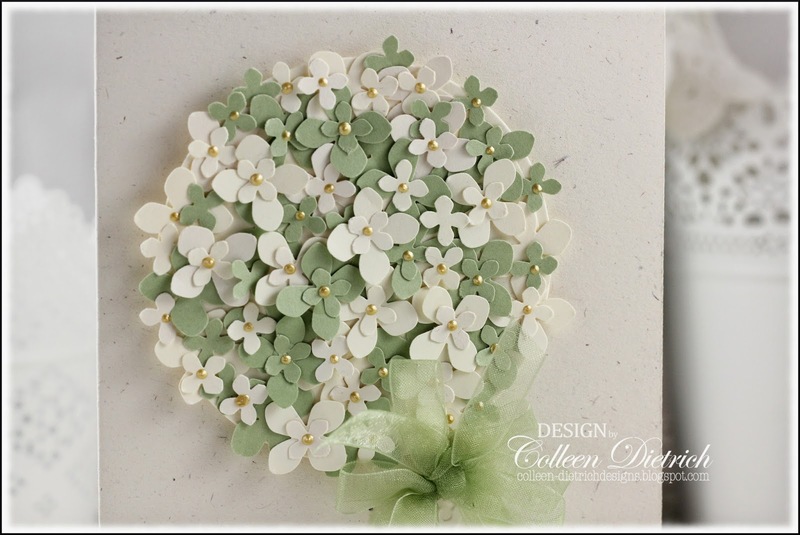 Once again, I've got a punched bridal bouquet for the wedding card challenge. Today's card is 5" x 7", compared with the A2 size of 4.25" x 5.5" from last week's card. I did a tutorial on the creation of this bouquet HERE. Since I had extra room on this card base, I decided to make a nosegay holder from a piece of vanilla cardstock. I hand-trimmed the shape, and embossed it to give texture. The sentiment is from Papertrey Ink's Happily Ever After set. 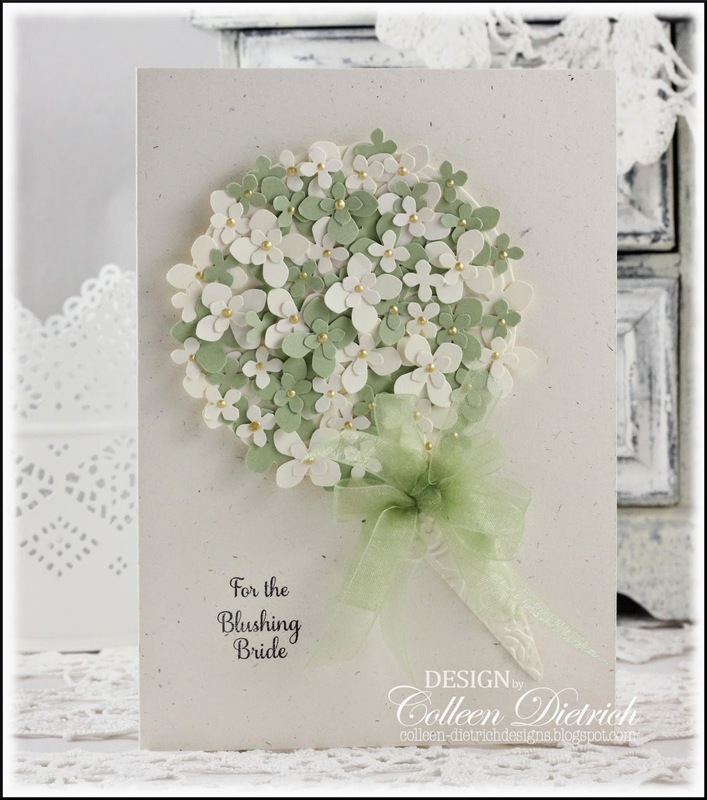 If you are inspired to make a wedding card, please join our challenge! You still have one more week to link up HERE. Sooooo gorgeous!!! I love it!!!!!!!! wow this is totally stunning..
Wow !! What a gorgeous card Colleen ..Love it !! Ahhhh, I love these colors! So soft and beautiful, and the sentiment is wonderful and sweet. Pretty bow, too! Wowwwww! Can't stop myself from Wow-ing here! The floral bunch is so gorgeous! 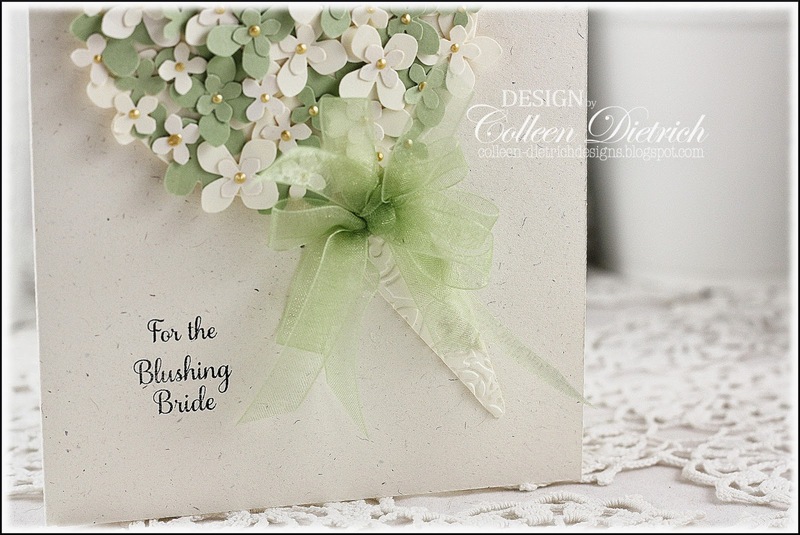 what a stunning card Colleen! Are you kidding me? OMG I feel like a kindergartner with my measly cards. I am impressed. 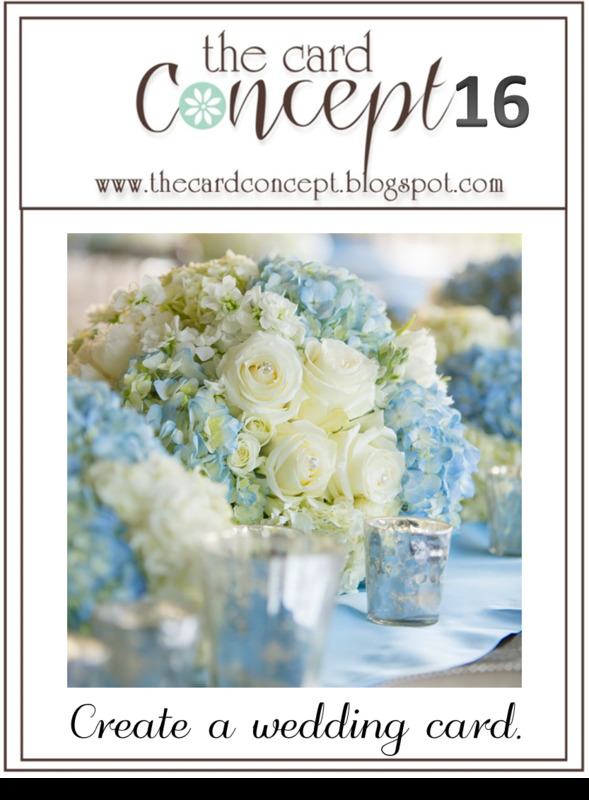 The hydrangea bouquet is so pretty in the colors you used and your holder is very pretty and creative. Another beautiful bridal bouquet, Colleen! Love the holder! Another beauty Colleen and the sheer ribbon is perfect! Have a wonderful weekend! Very very elegant, Colleen!! Love the simplicity of the colors, the embossed holder, and that ever gorgeous bow of yours! Amazing wedding bouquet!!! I love Hydrangea as well!!!! Thanks for your wonderful comments on my CC card! The ultimate wedding card. Perfection in every detail!